For many years we have been asked questions about Irish whiskey by visitors from all parts of the world and what makes it so different from Scotch, Bourbon and Rye Whiskies. Such was the level of interest Padruig decided to start whiskey tastings in the Beaufort Bar 10 years ago, these have proven to be extremely popular and another reason why a visit is highly recommended. 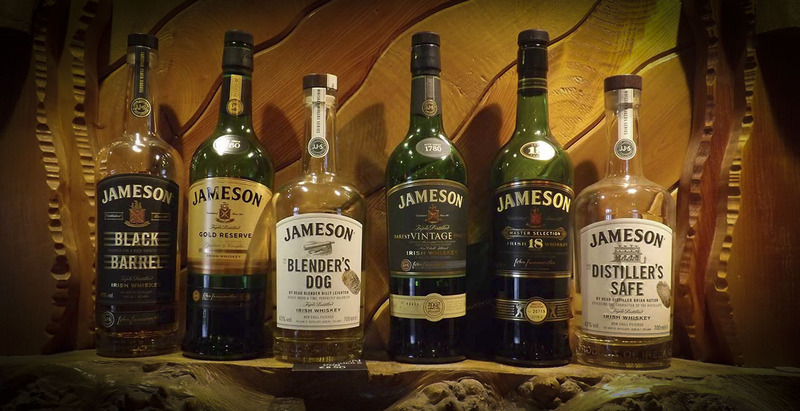 Irish whiskey is unique in many ways from its origin to ingredients, method of distillation, variety and taste. There is no better way to fully understand and appreciate this than through a tasting which generally takes 45 minutes to an hour depending on the number of participants. We offer two distinct tastings each consisting of 5 whiskeys, both include the complete history of Irish Whiskey, from its origin, method and distillation process to tasting each one. As per above but consisting of 12 year old and upwards Irish Whiskey. We have over 300 different whiskeys available at Beaufort Bar.